It should wait to support “Phetrung” to become the well-known one. For the work of Suek Muai Thai Lumphinee, it is still amusing and excited the Muay Thai fans in Thailnad as usual. 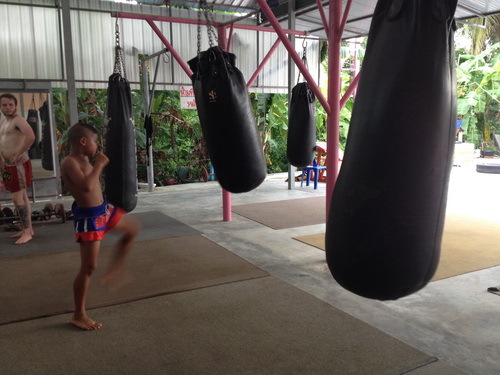 Moreover, on the last Saturday it had been the role of the promoter Chun Kertphet and his teamwork to make the excellent couple boxers as the past times. Then, this program is interesting since the first couple boxer or Yodkhunthab Ch. Khaoyuhaisuzu to fight with Bandone Luakbanyai to fight with funniness and favor the Muay Thai fans in Thailnad all the boxing stadium and the Muay Thai fans in Thailnad throughout the country. Finally, Bandon has lost the game after fighting severely. “For this fourth couple boxer of TGN channel, they are the good future ones although they just fought on TGN for the first time. However, they have fought excellently with funniness , so the teamwork of Kertphet would like to create the good name of them further. Moreover, it has the high prone for them to fight with each other again , except for be symphatized with Phanphet after he has fought instead of the old one with his less preparedness . As the result, it should take care of them well because both of them are the new generation with great performance.